Evidence of effectiveness does not equal successful implementation. To progress the field, practical tools are needed to bridge the gap between research and practice and to truly unite effectiveness and implementation evidence. This paper describes the Knowledge Transfer Scheme integrating existing implementation research frameworks into a tool which has been developed specifically to bridge the gap between knowledge derived from research on the one side and evidence-based usable information and tools for practice on the other. It is well recognised that in order to truly impact the health of active individuals, more (implementation) research effort should be placed on translating efficacious preventive methods into practice.4–6 A number of papers have been published in the past years describing research frameworks leading to successful implementation.5–8 However, these frameworks are primarily aimed at guiding research efforts towards implementation. Paradoxically, this may lead to a pitfall, as these implementation frameworks also provide research outcomes that still need to be implemented in practice. Knowledge about effective implementation does not necessarily mean that implementation is successful. Only efforts that can practically implement evidence on the sporting field will have a more substantial impact across all participants. Therefore, what is required to accompany the available implementation research frameworks are practical tools that are able to bridge the gap between research and practice.9 For this purpose, this paper describes the Knowledge Transfer Scheme (KTS) which integrates existing research frameworks into a tool for practice. KTS has been developed specifically to result in practical and sustainable evidence-based products by bridging the gap between knowledge derived from research on the one hand and evidence-based usable information and tools for practice on the other (figure 1). Current approaches towards the prevention of sports and physical activity-related injuries in general use a top-down approach following the widely adopted sequence of prevention.10 This approach states that an injury problem is described in terms of incidence and severity, after which aetiological insights lead to preventive approaches. Hereafter, efficacious or effective preventive measures are translated into the field. The latter follows the implementation steps of the TRIPP approach,5 which can be regarded, in one sense, as an addendum to the original sequence of prevention. The TRIPP approach6 aims at a better understanding of the implementation context for injury prevention, and stresses the importance of understanding both behavioural inputs and outputs in relation to sports-injury prevention. KTS consists of a series of five steps that includes both approaches. Bottom-up knowledge transfer starts with a question or problem stated by practice (step 1), after which, in step 2, evidence is sought to potentially answer the question or to solve the posed problem. Using a top-down approach, KTS can start in step 2 with evidence, assuming that the underlying problem has already been described. Naturally, such evidence stems from research that aims to solve a problem (research question). Yet it may be necessary to revert to step 1 and further elaborate on the problem, context and population and integrate subsequent evidence in step 2 to target the full scope of the problem. A step-by-step explanation of the five KTS steps is provided in table 1. The remainder of this manuscript describes the content, need,and rationale of each subsequent step. The first step of KTS is to describe the ‘problem’ encountered in practice in terms of its magnitude, severity, societal importance and societal burden. This provides a necessary first step that not only explicates the problem, but also provides an argument as to why the problem must be solved. This initial problem definition consists of two components: (1) a scientific, epidemiological, behavioural and social description of an at-risk group or community and its problems; and (2) an effort to ‘get to know,’ or begin to understand, the character of the community, its members, and its strengths, weaknesses and challenges. This first component is equivalent to the starting points of the sequence of prevention11 and TRIPP framework6 and is necessary for providing a clear problem statement that draws on the available evidence. When the existing evidence is presented as the starting point of KTS, this first step is assumed to have been used to generate that evidence. The second component provides more than a description of a health problem as commonly applied in sports-medicine research, that is, health issue X is very common in population Y. It is a description of the health problem's impact on the quality of life, its specific behavioural and environmental causes, and (where applicable) the determinants of those behavioural and environmental causes. This approach draws loosely upon the needs assessment encapsulated in the Intervention Mapping (IM) protocol.13 IM is a tool widely adopted in health promotion practice that captures the process of the development of a health promotion programme in a series of six consecutive steps. It maps the path from recognition of a need or problem to the identification of a behavioural solution, and provides the tools to do so in a multidisciplinary manner. The difference, however, between KTS and IM is that IM describes a basis for developing a new intervention that fits the problem for a specific population, whereas KTS describes a basis to seek existing effective interventions that fit the problem in a population. The second step synthesises and describes evidence to solve the problem that has been postulated in step 1. Ideally, this is carried out through a systematic review in which the problem statement of the previous step serves as the PICO question (patient problem or population (P), intervention (I), comparison (C) and outcome(s) (O)) for the search. Importantly, a plethora of reviews are readily available and not every stated problem requires a novel effort to seek and summarise evidence. It is worthwhile to scan previous reviews to establish an overview of available evidence. It is necessary to gain insight into whether the available information provides sufficient evidence to inform reduction in the burden of the problem put forward by practice. As such, it is important to describe the potential health gain that can be achieved through implementation of the established evidence. This must be carried out at both the level of the individual (eg, a reduction of injury risk, a reduction of residual complaints after injury, improved performance, swifter return to play) and the level of society (eg, a reduced (economic) burden of injury, increased sports participation and reduced demand of the medical system).14 This is especially important for multiple available programmes or interventions, where subsequent choices may need to be made further along KTS as to which specific interventions or components to implement. Moreover, evidence is likely to come from studies conducted in different contexts, sports or populations. This will affect the estimated impact that programmes or interventions might have when used to solve the problem stated in the first step. It is also necessary to gain additional information about evidence through consultation with clinical or practical experts or the authors of studies that provide evidence. The first two steps of KTS have been theoretical and descriptive in nature. From the third step onwards, KTS translates this information into practice actions through the establishment of a KTG. This KTG should consist of representative key practitioner stakeholders (as established in step 2) and researchers with expertise on the injury or evidence at hand. To avoid bias, an independent chair, who is not involved in idea and content generation, should be appointed to guide the ongoing discussions. KTG should not be too big if it is to fully support ongoing open discussions, but it also needs to provide for a voice for all major stakeholders. This is a fine balance, and it needs to be chosen so as to have the strongest voices of evidence users (athletes), implementers (stakeholders) and evidence providers (researchers). There will be some instances in which an intervention or programme only indirectly targets athletes (eg, rule changes, treatment protocols, or on-site first aid guidelines). Nonetheless, it is the athlete's health status that is targeted by the intervention in the end and, as such, athletes need a strong voice in a KTG. KTG is somewhat similar to the focus groups employed in other frameworks like IM.12 The IM focus groups are generally only used by researchers to gather qualitative information from a specific population. On the basis of this gathered information, researchers develop the product or intervention. In contrast, KTG is responsible for the ongoing discussion process and the subsequent development of products to implement evidence (step 4). This is a critical difference, as KTS directs product development informed by practice. KTG should meet physically, and the number of sessions will vary depending upon the discussions within the group and the ongoing ‘product’ development process (step 4). The goals and intended processes of KTG must be communicated during the first session at which any outstanding questions should be answered. The first task of KTG is to discuss the problem statement and evidence description of steps 1 and 2. The aim should be to assess the completeness and clarity of both descriptions, as well as to reach consensus across all members. The group should assess how the problem is perceived in practice, through engagement of its end-user and stakeholders members. If required, the group might choose to gather more information from its peers or other experts. Also, the available evidence needs to be in terms of possible hesitations, willingness, ignorance or lack of knowledge within the broader implementation context and practitioners. The ultimate goal of KTS is to translate evidence that solves a practice-generated problem into a usable and sustainable product to be implemented in practice. If this product is designed solely by a top-down approach, rather than by also considering bottom-up views as outlined in KTS, then it is no surprise that athletes fail to implement the evidence. The product needs to be properly designed from the outset with the enduser in mind. It is the task of KTG to develop such a product from selected evidence. As the combination of practice-generated problems and the available evidence is unique and demands a different approach or product; the process for generating this is not a single simple approach. In relation to KTS, a ‘product’ is defined as the wrapper or package in which the available evidence is presented to the end-users. A KTS product does not, therefore, necessarily have to be a tangible (commercial) product like (eg, a new helmet with an appealing form). The end product can be anything that is based on effectiveness evidence and is directly usable in practice. Examples include sports or setting specific exercise programmes, rule changes in regard to mouthguard use during field hockey practices, policy changes in regard to Automated External Defibrillator availability at amateur soccer clubs, or guidelines for medical staff for first aid provision. It is the responsibility of KTG to reach consensus on the best product based on their stated problem and the available evidence. As every product will be different, KTG will need to describe a number of factors to describe the essence of the product for evaluation in KTS step 5. These factors are: (1) what is the goal of the product? (2) for whom is the product intended? and (3) in which context is the product situated? The evaluation of a KTS product revolves around its uptake in a real-life situation. A KTS product is expected to be developed from, or comprised of, evidence-based components and so its effectiveness does not need to be re-established. However, the translatability and feasibility of the developed products do need to be established within their intended context. Although multiple approaches for implementation evaluation exist, we recommend the RE-AIM framework for this purpose.12 ,15 The RE-AIM framework designed by Glasgow et al12 was originally developed to evaluate the public health impact of health promotion interventions. This framework describes five interacting dimensions that identify the translatability and feasibility of a programme. Evidence of effectiveness does not equal successful implementation. Therefore, in order to truly impact the health of active individuals, more (implementation) effort should be placed on translating ‘proven’ preventive methods into practice.2–4 ,9 In recent years, research frameworks leading to successful implementation in sports injury prevention have been described.5–8 Importantly, these frameworks are supportive of research on implementation but do not provide a practical guideline on how to effectively translate research evidence into practice. In addition, the research frameworks tend to only draw on available evidence about efficacious interventions, with little or no consideration of whether or not they necessarily fit the athlete's practical context. In doing so, they use a top-down approach of trying to translate objective research outcomes into the end-user's expectations, an attempt that has proven feasible in lifestyle interventions.3 To overcome these mentioned drawbacks, the KTS described in this paper has been developed specifically to bridge the gap between knowledge derived from research on the one side and evidence-based usable information and tools for practice on the other. KTS integrates existing implementation research frameworks into a tool for practice, by which practical issues are linked to available evidence and practical and sustainable products are developed and evaluated in their intended context. In short, it combines both top-down and bottom-up approaches to ensure greater implementation success. The Knowledge Transfer Scheme (KTS) integrates the existing implementation research frameworks into a tool for practice, by which practical issues are linked to available evidence. Knowledge translation is an iterative bottom-up/top-down process based on a conversation between researchers, practitioners and the target community. Multidisciplinary Knowledge Transfer Groups play a key role in the translation of evidence into practice actions. KTS provides a practical tool to answer questions from practice with available scientific evidence. Through the application of KTS, a better fit between practical problems and scientific evidence is achieved, providing sustainable implementation. KTS provides a platform for practice and research to engage jointly in the development of an evidence-based product to be implemented in practice. The authors would like to thank Marja Westhoff of The Netherlands Organisation for Health Research and Development (ZonMw) for her feedback on the ideas presented in this manuscript.
. The prevention of sport injury: an analysis of 12 000 Published Manuscripts. Clin J Sport Med 2010;20:407–12.
. Setting our minds to implementation. Br J Sports Med 2011;45:1015–16.
. Behaviour, the key factor for sports injury prevention. Sports Med 2010;40:899–906.
. If athletes will not adopt preventive measures, effective measures must adopt athletes. Curr Sports Med Rep 2012;11:7–8.
. From sports injury prevention to safety promotion in sports. Sports Med 2006;36:733–45.
. A new framework for research leading to sports injury prevention. J Sci Med Sport 2006;9:3–9.
. Effective prevention of sports injuries: a model integrating efficacy, efficiency, compliance and risk taking behaviour. Br J Sports Med 2008;42:648–52.
. 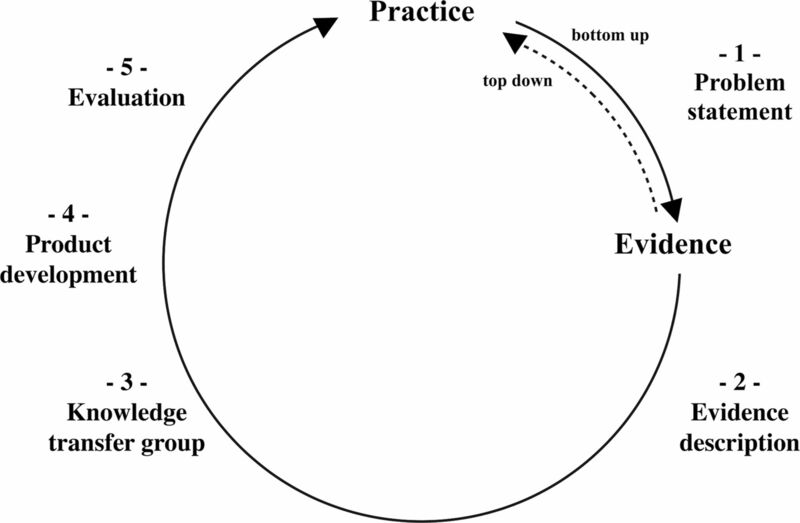 The measurement iterative loop: a framework for the critical appraisal of need, benefits and costs of health interventions. J Chronic Dis 1985;38:339–51.
. Closing the gap between injury prevention research and community safety promotion practice: revisiting the public health model. Public Health Rep 2012;127:147–55.
. Incidence, severity, aetiology and prevention of sports injuries. A review of concepts. Sports Med 1992;14:82–99.
. Twenty years of scientific progress in injury prevention and violence prevention research and the next public health frontier. J Safety Res 2012;43:249–55.
. Evaluating the public health impact of health promotion interventions: the RE-AIM framework. Am J Public Health 1999;89:1322–7.
. Intervention mapping: a process for developing theory- and evidence-based health education programs. Health Educ Behav 1998;25:545–63.
. Obstacles to implementing evidence-based practice in Belgium: a context-specific qualitative evidence synthesis including findings from different health care disciplines. Acta Clin Belg 2012;67:99–107.
. A sports setting matrix for understanding the implementation context for community sport. Br J Sports Med 2010;44:973–8.
. Planning for implementation and translation: seek first to understand the end-users’ perspectives. Br J Sports Med 2012;46:306–7.
. Reconsidering community based interventions. Inj Prev 2004;10:2–3.
. Econology: integrating health and sustainable development. Part One: theory and background. Health Promot Int 1991;6:49–65.
. The injury iceberg: an ecological approach to planning sustainable community safety interventions. Health Promot J Austr 2005;16:5–15. Contributors EV, AB and NV contributed equally to the conception of the manuscript. CFF contributed to the writing of the manuscript and provided critical or other input during various paper drafts.